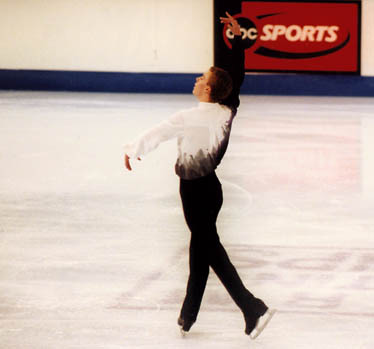 from Champions on Ice, Evening with Champions and Marshalls 2005. 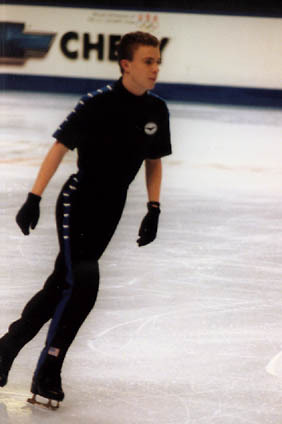 See an 1999 Timothy photo here! Competition photos were taken on Fuji 800 film with a 100-210 lens, 2.8 aperture, in a lit skating rink. Seats in the Boston Fleet Center were 10th or 12th row side. Because scanner has a problem with magenta, photographer has color-corrected some of the photos to decrease magenta, but a yellowish cast has resulted on some scans.